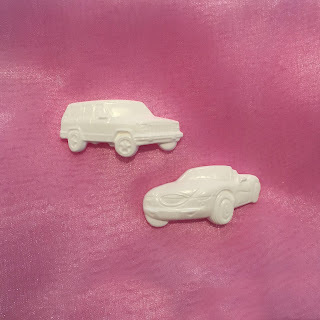 Feature Friday - A New Resin Release - Cars! They say men are the most difficult to make cards for, so we've made it a little easier by creating these car resin shapes which will add depth and detail to your project for that petrol-head in your life! They can be left blank, coloured by hand by us for 20-40p depending on the colour you choose, or painted by yourself to have the effect you desire. By clicking the image you will be taken to our Facebook page dedicated purely to the resin range we produce @ www.facebook.com/theresinshop!